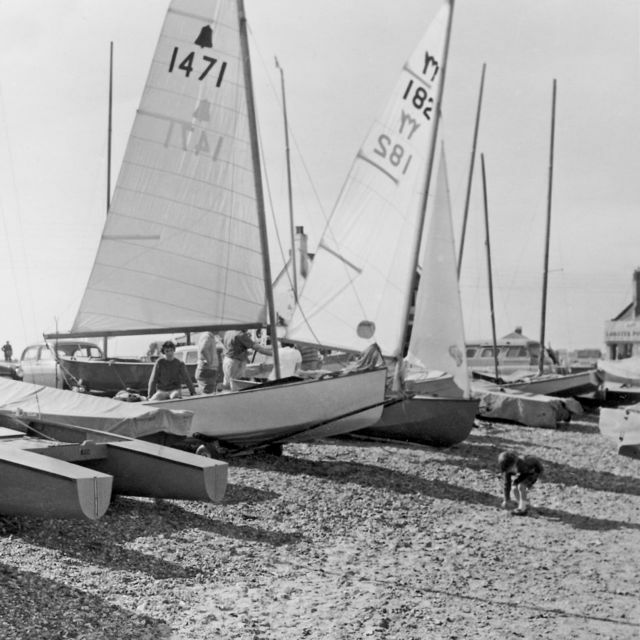 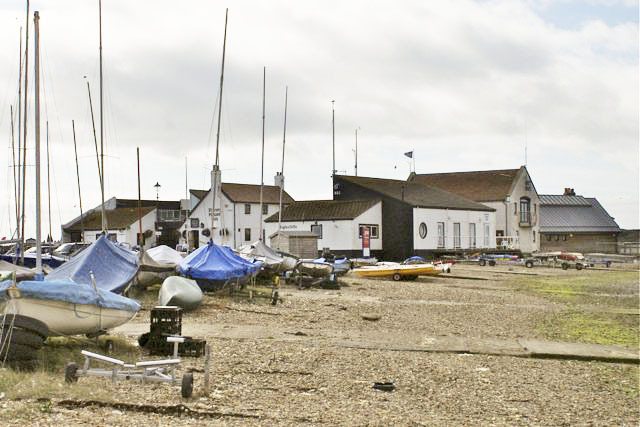 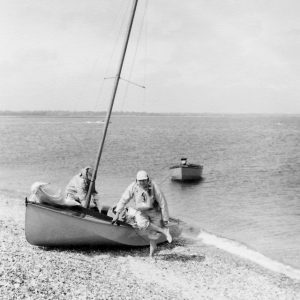 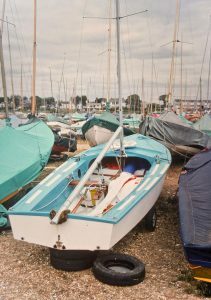 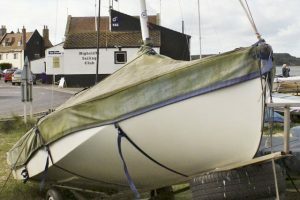 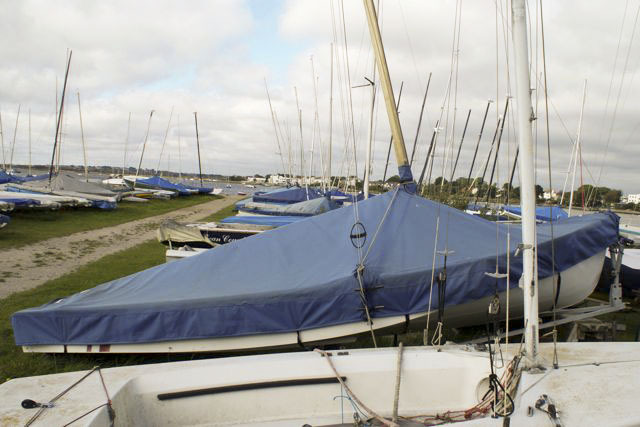 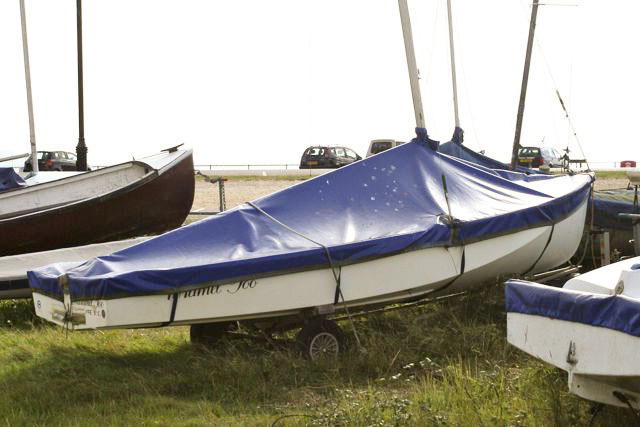 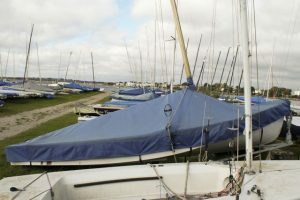 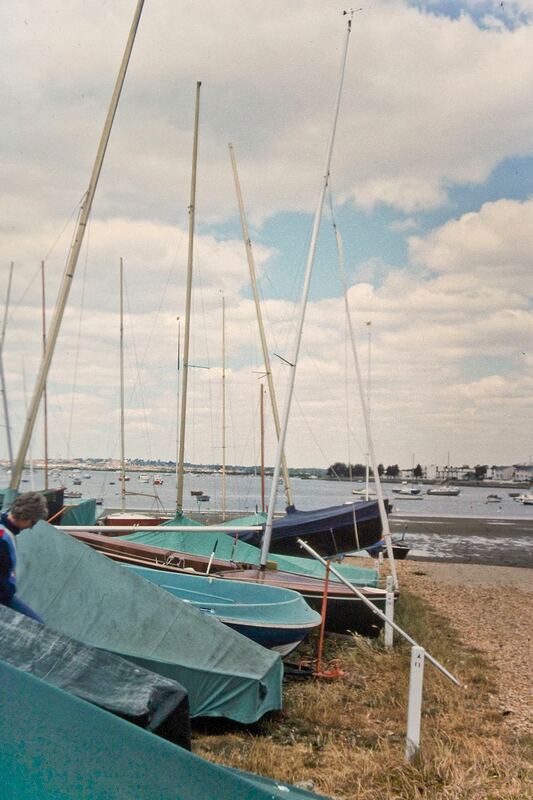 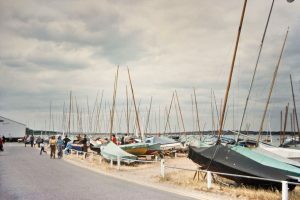 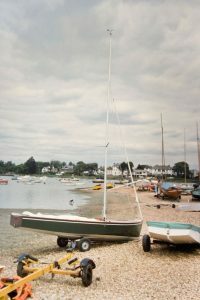 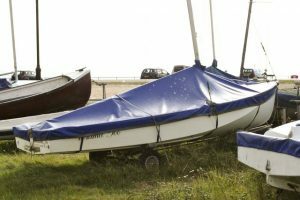 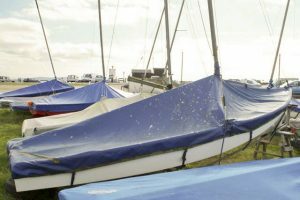 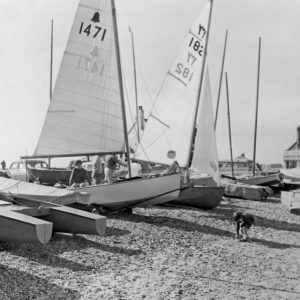 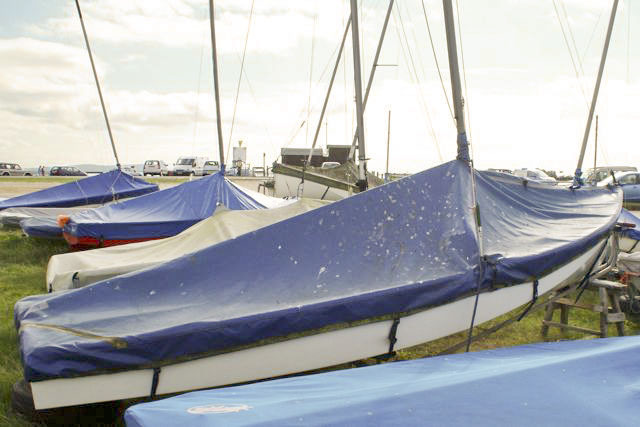 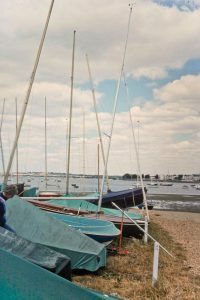 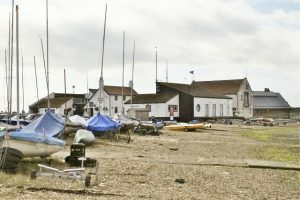 Highcliffe Sailing Club is situated on picturesque Mudeford Quay at the mouth of Christchurch Harbour on the south coast of England. 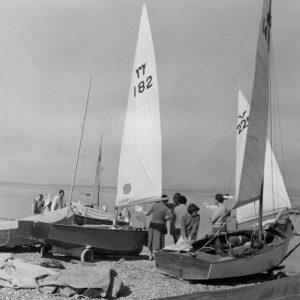 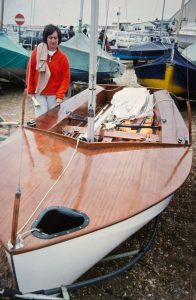 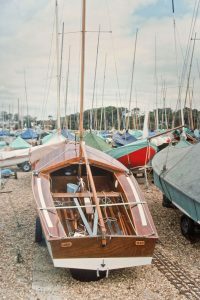 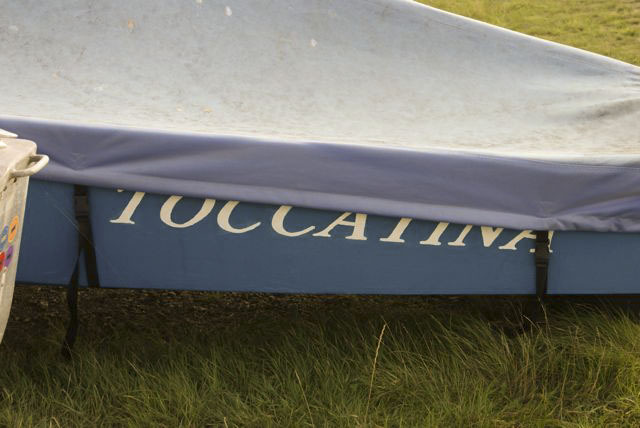 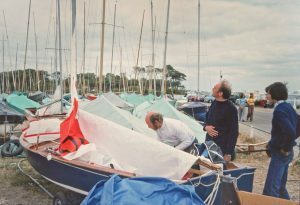 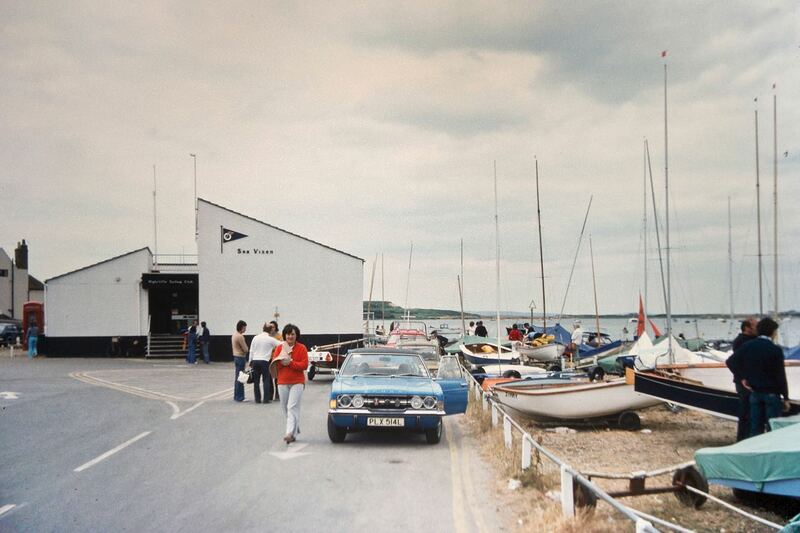 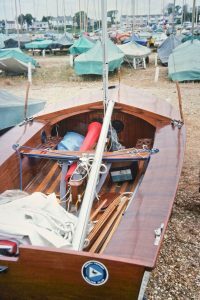 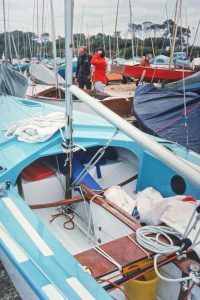 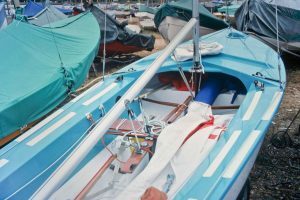 Seaflys were sailed at HSC from the early 1960’s and, starting in 1966, they regularly hosted the National Championships, and frequently provided the National Championship winner. 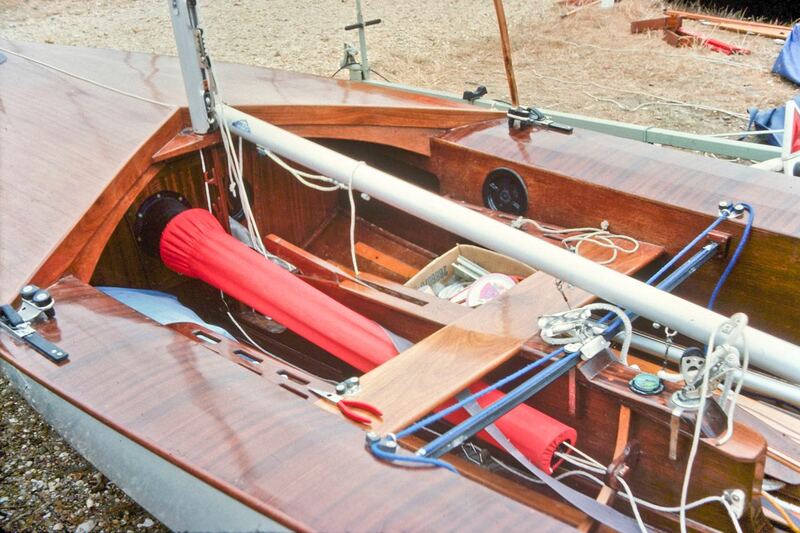 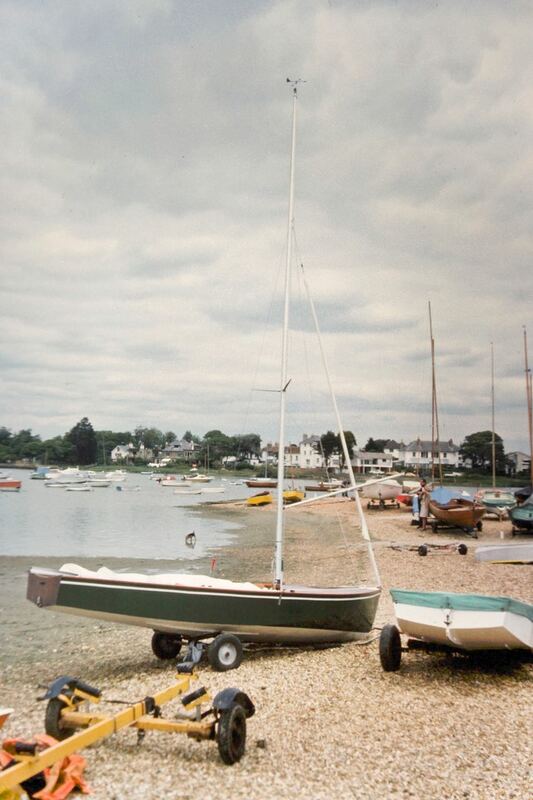 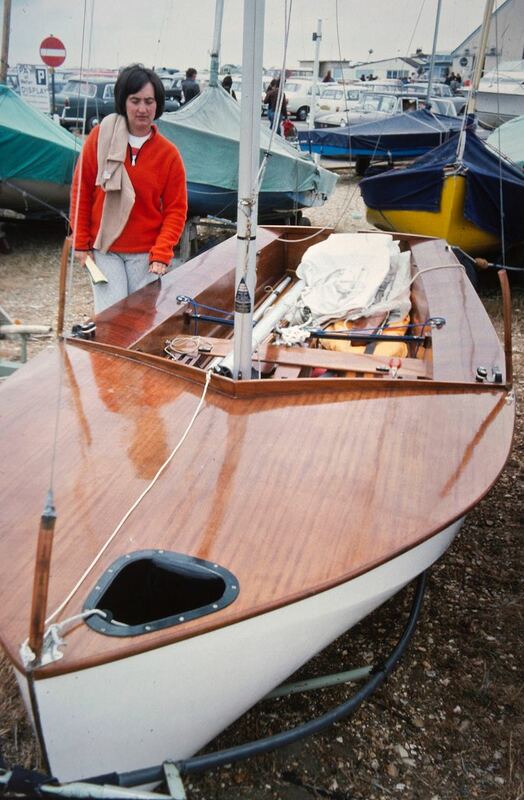 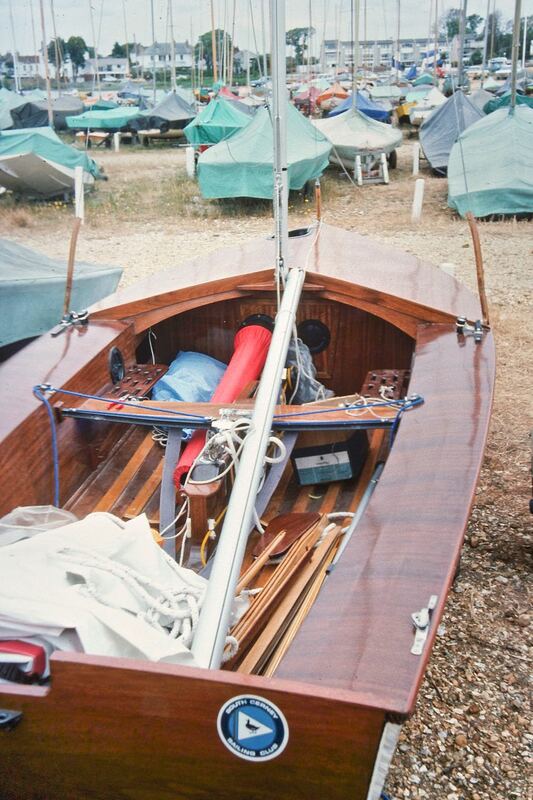 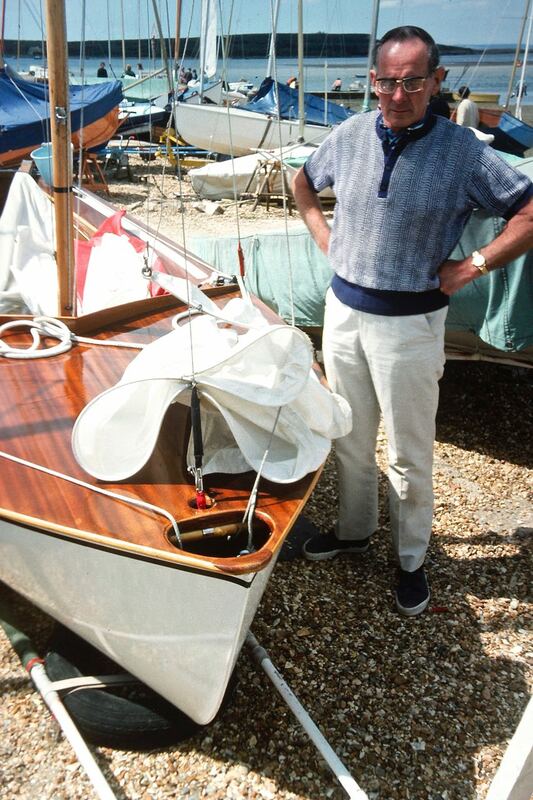 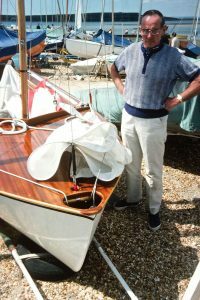 From 1980 the licence to build Seaflys was owned by Colin May, a Highcliffe S.C. sailor. He and other Highcliffe S.C. members, in particular Adrian Summers, dominated the Seafly National Championships during the 1980’s and 1990’s and Highcliffe dominated in the Canberra Trophy from 1980 onwards. 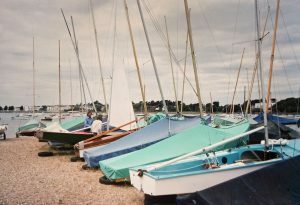 There were still some 20 Seaflys racing at Highcliffe in 1996, but by 2010 there were only around 3 Seaflys remaining in their boat park.